While the global macro story about the rise (or resurrection) of the consumer has fallen off the front pages of the financial news in favor of more timely stories like oil and the U.S. dollar, it’s still a significant trend. Consumer power drives select stocks that people need no matter what the market is doing. I’ve found seven consumer stocks that are built to perform now and in the future. Remember, if these stocks are currently doing well, it’s practically a foregone conclusion they’ll continue their success as the global economy picks up steam. Some of these firms rely on the U.S. market for their strength, while others are still able to grow their businesses overseas. The Federal Reserve’s recent decision to maintain rates instead of raising them, is a relief to both the U.S. and global markets since it would have made a confusing situation — most nations are cutting rates, not raising them — more obtuse. The markets don’t like uncertainty. The Fed’s recent decision will help boost these stocks even more. Sturm, Ruger & Company (RGR) is one of the major firearms manufacturers in the U.S. It’s ironic that generally gun makers usually do well when Democrats run the White House. Largely because Democrats usually ramp up the gun control discussion, prompting people to rush out in droves to their local gun store. Several mass shootings have kept this debate inflamed. Given this dynamic it’s no surprise that RGR is up almost 270% in the past five years. Now that Hillary Clinton is the presumptive Democratic candidate — she is a staunch advocate for more restrictive gun ownership laws — RGR should have another big year … or four. Ctrip.com (CTRP) is basically the Chinese version of Tripadvisor (TRIP) or Expedia (EXPE); it’s a travel, hotel and package tour aggregator specifically for the Chinese market. The massive expansion of the middle class in China in recent years has meant more disposable income, allowing many Chinese who couldn’t afford to take international vacations the ability to do so. It’s also allowed many of the people who moved to cities for opportunities to travel back home to see family. The reality is, this market is much closer to the beginning of its trend than it is to the end. And CTRP has been a pioneer. Being that it’s based in China, it has all the advantages that come with the Chinese market. Proof: CTRP is up 278% in the past 12 months and it’s still rapidly growing revenues and market share. It is also investing in its direct and indirect competitors, a bright hedge if I’ve ever seen one. Natural Health Trends (NHTC) has been quite successful in capitalizing on China’s growing middle class, particularly women. Why? Because Natural Health sells health and beauty supplies predominantly to the mainland Chinese and Hong Kong markets. This has meant some volatility in the stock in 2016, but even from its current lower prices, NHTC is still up 67% in the past 12 months. Natural Health has come under some pressure by Chinese regulators in recent months. This situation needs to be monitored since NHTC greatly relies on the Chinese market for its growth. At this point, it’s a good idea to stake a position while the stock is still cheap and keep an eye on its relations with the Chinese government. 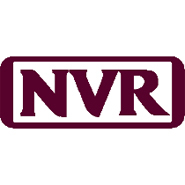 NVR (NVR) is the parent company of homebuilders Ryan Homes, NV Homes, Fox Ridge Homes and Heartland Homes. These builders make everything from apartments to condos to single family homes. NVR also has its own mortgage services and title business so it can not only build you home but get you financing at the same time. Its various subsidiaries focus on specific market sectors: Some cater to first-time buyers and other to higher-end builds. NVR companies operate primarily on the East Coast, from New York to Florida. But the real opportunities now lie in NVR’s apartments and condos since the demand for rentals throughout the country is still booming. 3 ETFs to Buy for the Dividend Aristocrats! And as long as mortgage rates remain near historic lows, demand for NVR housing is likely to continues its growth trajectory. Panera Bread (PNRA) is a well-known favorite for anyone who has kids, especially if they travel to out-of-town tournaments. It’s a great space for large parties with complicated orders, offering nutritious meals compared with other sit-down fast food options. And now that the spring sports schedule is gearing up, this is a great way to play the trend of families grabbing a quick, health bite before or after a game. What’s more, PNRA began Panera 2.0 about three years ago, building new technologies into its stores. That has meant touch-screen kiosks for customers to speed ordering, online ordering for expedited “To Go” orders and other similar processes to make the experience more about eating than ordering. It’s working. There’s even talk that PNRA is starting to explore a delivery service. That alone could be a game changer. 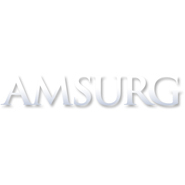 Amsurg (AMSG) is a consumer firm a little up the food chain, specializing in ambulatory (aka, outpatient) surgery centers. Given the recent changes in the U.S. healthcare system, there is an increased focus on costs, both by the government (Medicare and Medicaid) and the private insurers. Both want to keep cost to a minimum, so whatever procedures can be done at outpatient centers the better. From the physician’s point of view, this is also a better option than sending patients to a hospital where they have privileges, but which may be inconvenient for the doctor or patient. The problem for the doctors is the inherent risk in outpatient surgical practice. And that’s where AMSG comes it. It works with physicians — it will even help staff a center — to build and operate these facilities. This is a major long-term trend and AMSG is a ground-floor opportunity. The stock is up 185% in the past five years, showing a strong long-term trend is in place. Alphabet (GOOG, GOOGL) is one of the most iconic online brands in the world today. It’s hard to overstate what a significant impact this company has made and continues to make on virtually every aspect of our daily lives. It was a pioneer in online advertising and remains a dominant player almost 10 times the size of Facebook’s (FB) growing share of the sector. There’s plenty to go around, however, as online advertising is finally gaining traction with traditional retailers. GOOG is also a pioneer in the self-driving car movement, owns the most popular operating system in the world (Android), is moving into ultra-high-bandwidth service; and it’s a prolific user and promoter of renewable energy in the tech sector and beyond. There are few impediments to Google’s continued dominance. Article printed from InvestorPlace Media, https://investorplace.com/2016/03/consumer-discretionary-powerhouses/.